I feel like I am beginning to sound like a broken record, especially since I keep apologizing for my lack of blog updates because of my school workload. oh...the glamorous life of a graduate student. Remember how much fun the Lucky 7 has when celebrating birthdays? Finally it was my turn to have a Lucky 7 birthday celebration! 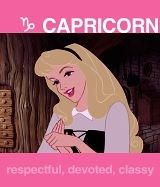 We Capricorns have to stick together! We started the evening off by going to Mad Platter, a pottery painting creativity studio to get our craft on. Of course, I am wonderful at taking pictures at other people's parties, but not so much at mine! I really had a wonderful time. I needed a creative outlet and it came at the perfect time. We ended the evening by going to my favorite restaurant: Harpers. Another one of the wonderful surprising things about Columbia is that it has things like my favorite restaurant from my hometown. Overall it was a wonderful time. I am so lucky to be a part of the Lucky 7 :) Cannot wait until the next birthday celebration!